As the Moon transits through the zodiac it travels through the 12 signs. 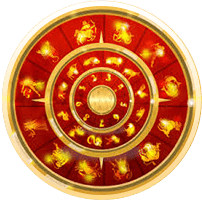 While in each sign it adopts a certain role in the lives of each individual and affects his or her fortune. The Rashifal catalogs Moon's transit and its influence on the people each day.